All of this didn’t really take as much time to put together as you may think. I spent my Thanksgving break sewing letters, but it was well worth it. I love seeing my little rock my handmade letters on campus. 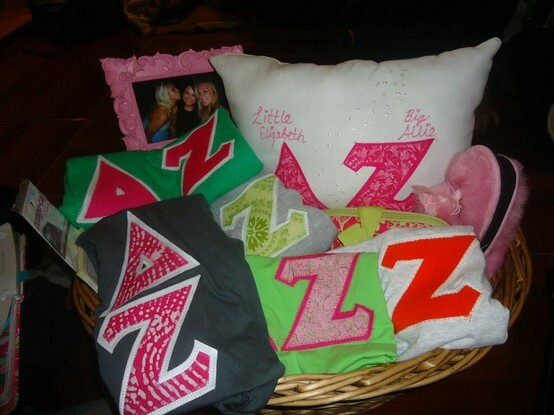 For the Delta Zeta tote, Vistaprint usually has deals for free tees and totes – if you upload a Delta Zeta design then all you have to pay for is shipping! Check out my letter-making tips or a how-to on sewing a blanket/pillow!